During our stay at Weymouth we decided to visit the Portland Bill lighthouse, it was a short drive from our accommodation at Waterside Holiday Park and lately I have become much more interested in places like this. It’s probably a bit like the Sagrada Familia though, in that most visitors just take photos from the outside, lighthouses do look quite spectacular so I understand their appeal. 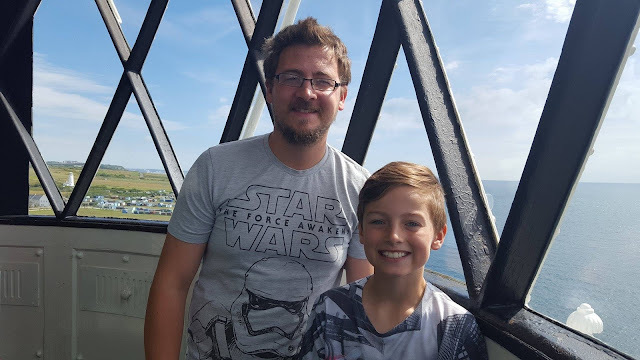 We have only ever got up close to lighthouses before just to take a picture but never actually ventured inside, this time I was determined we would explore a lighthouse properly. 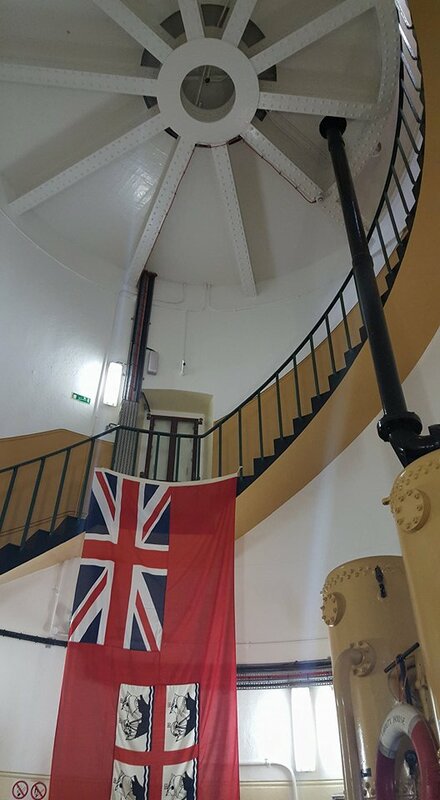 We booked ourselves on the first tour of the day to learn more about the operation and history of this lighthouse. 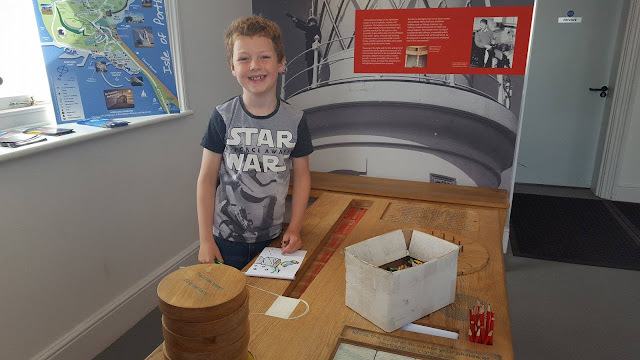 Whilst we were waiting for our tour to start we had a look around the small visitor centre, the boys liked colouring in a flag each and doing a few puzzles. There was also information to read. I don’t think it’s worth booking entrance just into the visitor centre for £9 far better to do the complete tour spending the extra £11 for the view and a greater understanding of how a lighthouse really works. 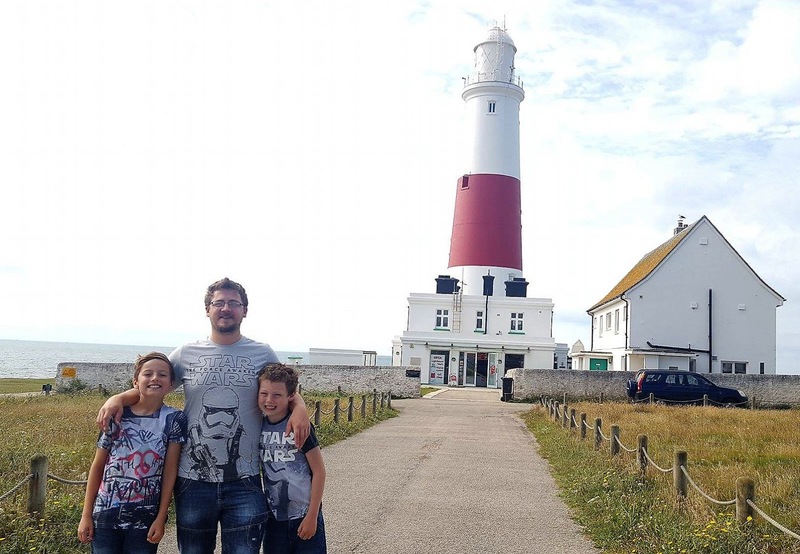 Some facts we learnt: the brightness of the light is the same as 635,000 candles and the light from Portland Bill lighthouse can be seen up to 25 nautical miles away. Hubbie was a bit anxious of the winding staircase but it wasn’t too bad in the end. It was worth the climb to see the view from the top. Although I wasn’t a huge fan of the last few steps as they were a bit steeper!!! There are 153 steps in total to the top, I didn't end up counting them I read a noticeboard haha. Our guide was very informative and I was only too happy to pay the entrance price for us to have a completely different experience. It cost £20 for the four of us but I can now say we have ticked off being inside a lighthouse! I do like working through a bucket list of travel experiences otherwise we would probably just end up going from one theme park to the next. 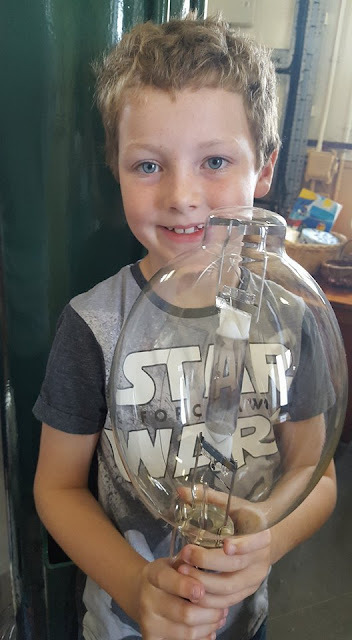 I did get a bit nervous when the boys were allowed to hold one of the bulbs from the lighthouse as they cost £60 each, fortunately they didn't drop it!!! In our tour party was a group of seventy-year olds and they put us to shame with their fitness levels, they made it to the top without getting out of breath! At the end of the tour you are awarded a little badge to celebrate making it to the top, it was a nice memento for the boys to remember their trip and they love keepsakes to treasure. At the gift shop, the boys stocked up on more precious stones which they are enjoying collecting at the moment, I guess it makes a welcome change to football cards which they usually spend their money on.